In the late 1990s, Ryan Bertholdi found himself learning about the sweeping industry as a result of a somewhat unlikely occurrence: His mother, an accountant with a large company called Brothers, suggested he would be a good fit to help with that company's sweeping program, among other duties. After two years of learning experience via Brother's sweeping program, Bertholdi founded a company called Star Sweeping in 2000. 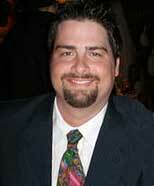 Then, with partner, Anthony Bova, he transitioned to Moonlight Sweeping, LLC in 2008. Today, Bova handles night routing and working with sweeper operators, with Bertholdi taking on the rest. Like many contractors before him, Bertholdi started with one sweeper, which he operated. From there he worked to pick up new accounts in order to get more sweepers and hire employees. At first, the company did only sweeping. It wasn't long, however, until they started providing power washing services in order to meet customer requests. After that, in order to meet with a local company that provided only day porter services without the added benefit of sweeping, Moonlight added on day portering, as well. The addition of day portering, says Bertholdi, has resulted in a significant increase in business. "Within the Community Improvement Districts that we do," said Bertholdi, "we do a lot of day porter service. The reason why is there are a lot of retail as well as industrial facilities in the same general area. The trash cans can overflow during the day. Also, litter like packaging, cigarette butts and leaves accumulate around entrances and elsewhere on our customer properties. "We go out to the properties throughout the day and take care of any problems for our customers. 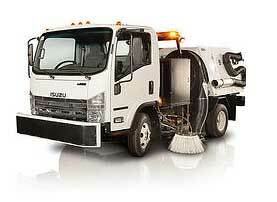 Then, during the night or as early as 5 AM in the morning, we take the sweepers in to clean up curb lines and any other debris that needs to be handled by a machine prior to store openings or people arriving at the industrial facilities." Moonlight employees also power wash for gum and make sure any areas that can attract gum are kept clean to reduce the incidence of people throwing their gum on the ground. 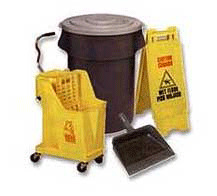 Depending on customer requirements, employees also keep the rear areas of client facilities neat and clean. In our audio podcast with Bertholdi, he discusses how his company competes with firms in his area that offer day portering without having a sweeper fleet available for additional needed cleanup. Because these firms are unable to get material out of the cracks, curblines and other areas requiring a sweeper, Moonlight is able to provide a higher level of service to its customers. "As an example," said Bertholdi, "one of the Community Improvement Districts we started with three years ago had a terrible problem with graffiti tagging. Once we started with our day porter service, which included getting any graffiti removed as soon as it was discovered, they haven't been tagged for over a year. If that doesn't illustrate the power of quick removal, I don't know what does." Moonlight also provides a preventive service for its customers with brick buildings. For those, they are able to apply a protective coating that allows graffiti to be removed very easily with just power washing. This is another way the company provides an overall cost savings to some of its clients. Bertholdi discusses his experience with switching from twin-engine sweepers to hydraulic-powered units. In addition to costing less for fuel, their experience is fewer breakdowns due to general wear and tear, as well. "We had a fuel bill of about $4,000 a month with our twin-engine sweepers outfitted with Kubota auxiliary engines," said Bertholdi. "With a fleet of hydraulic sweepers, that dropped to between $1,900 and $2,100 a month. That's a huge difference, especially when you add in other cost savings derived from less ongoing maintenance and repair. This makes us able to provide a better value for our customers, too." For cleanup at art shows and similar events, Moonlight has a Tennant Green Machine. They have found this to be a valuable piece of equipment, one that offers them the ability to handle large event sweeping cost-effectively and efficiently. 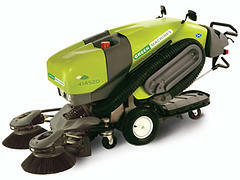 "The Green Machine is great for event cleanup," said Bertholdi. "It is not too loud, fits into tight spaces and picks up everything in its path. It handles most everything, from cigarette butts to liter bottles to tennis balls. "We can operate the machine when there are people in the area, which is very important for keeping things clean while an event is in progress. We're also able, with the Green Machine, to spray disinfectant where needed; for example, on spills or where someone gets sick. We use the brushes to mix in the disinfectant and and then remove the material. We have found this machine is great for running paths, too, and we can even walk it in the grass to pick up litter, where needed. "The Green Machine also has an attached wander hose that can be activated quickly, without the need to install a plate or some such. This works well for suctioning litter out from between bushes and other areas inaccessible for even a small walk-behind sweeper like it. Although we have a seat attachment available, we have found that most of the time is better to simply walk behind our Green Machine as it operates." Moonlight Sweeping uses GPS technology for sweeper tracking. The system they have chosen provides geo-fencing around each customer property to track the exact amount of time a sweeper is on the lot. Should a customer want detailed information in that regard, the software allows Bertholdi to instigate a text message or e-mail to clients telling them when the sweeper was on their premises. When it comes to the phone system at Moonlight, Bertholdi has made the decision to bring all calls into his personal cell phone. Although this is a commitment to be personally available 24/7, he says his customers really love knowing they can contact him whenever they want, if need be. "Before," said Bertholdi, "we utilized voicemail with an answering machine for our office location. The problem was that customers would confuse our office number with my cell phone number and not really know which was which. So, sometimes they left an urgent message on the office phone and I wouldn't get it until sometimes the next night. Although we are a small company, that is simply not acceptable. Now, if a customer has any type of urgent need I can be sure to respond quickly for them. "Also, when a new prospect for services calls we want them to know we will be responsive on their property, should they hire us. When you don't answer the phone and don't return a call in a timely fashion, I believe it is likely they will move on to speak with another contractor. "Another great part about today's cell phones is that we can have all aspects of our communication and customer information available on the phone. We can take photos, send photos, confirm work and talk immediately to our customers from anywhere. Taking advantage of that technology really provides us with an advantage when it comes to customer service." In the audio interview, Bertholdi also discusses his company's take on national service aggregators. He relates in detail why they have chosen to go after few, if any, of these low-paying contracts. "They simply do not pay enough to allow us to do the quality of work I want Moonlight Sweeping known for," Bertholdi said. "Even though the customer might be fine with having a lesser quality storefront, we don't want anyone to think that's the kind of work product we provide." Several minutes are taken up with an exchange between Bertholdi and myself on ways to conduct business with national providers, what to expect, how to speak to current customers about the phenomenon and more. During the attached audio podcast, Ryan Bertholdi offers 40 minutes of solid, sensible advice of interest to anyone who operates a parking area sweeping company. Note: The audio podcast with Ryan Bertholdi will play without downloading any files onto your computer. If you hear the interview at 'chipmunk speed,' you will need to download the latest version of Adobe's free Flash player. To play the interview, click this link or on the small triangle inside the circle you see to the left. If you have any trouble accessing the audio, please let us know. Ryan Bertholdi may be reached via the company's website, which is located at www.wesweepkc.com.